420mm x 297mm (A3) limited edition signed digital print. Printed on white matte 325 gsm paper. All prints are packaged carefully and delivered. Delivery in the UK is first class recorded at £4.25. Prints will be dispatched within 2-3 working days. International purchases may take up to 2 weeks to arrive. Please ensure the postal address included in your PayPal account is the address you would like the print/s delivered to. If not, just email me to let me know. Thanks. 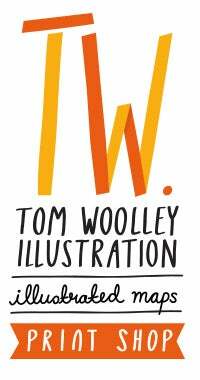 For any enquiries please feel free to email me at tomcwoolley@gmail.com.